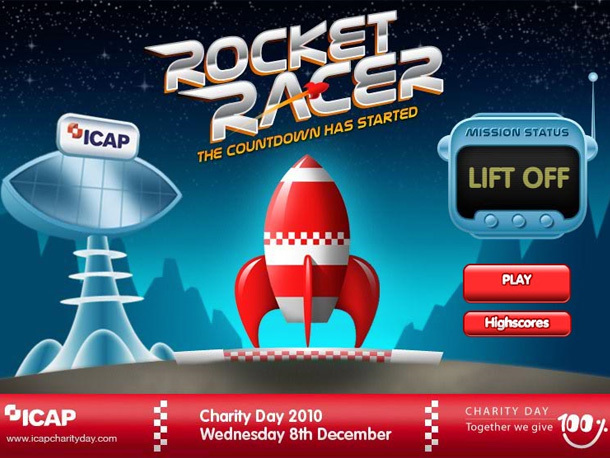 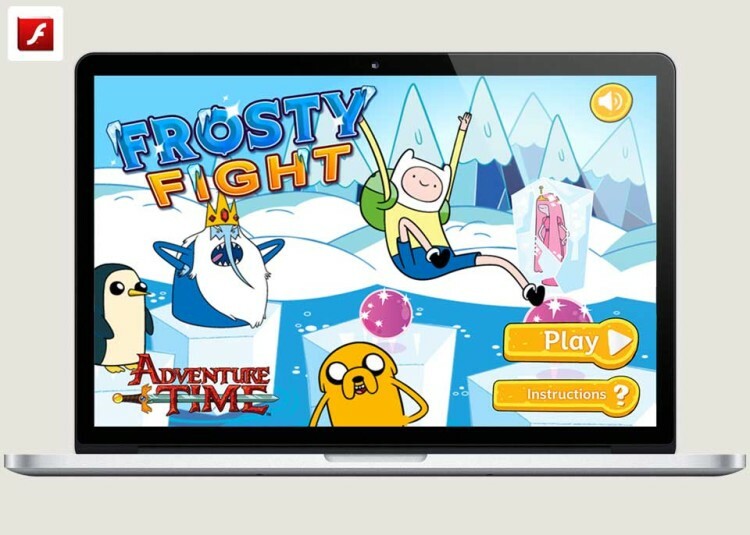 As part of ICAP’s ‘Together we give 100%’ Charity Day, View brought in Playerthree to create a Rocket Racer flash game, video animations and augmented reality application as part of their online activity. 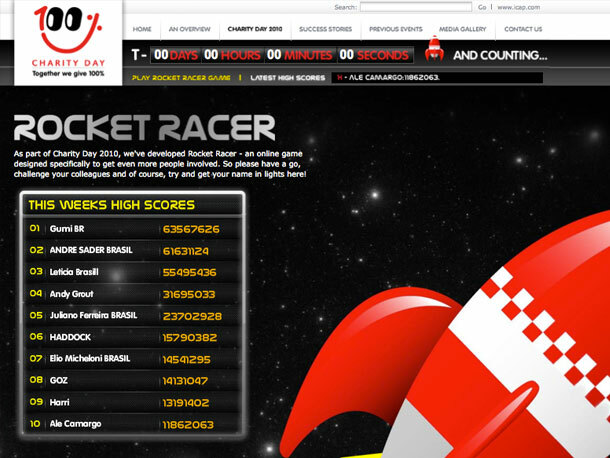 The Rocket Racer game was designed to target and challenge brokers around the world to race through space earning points, at which point they could opt to either cash-in or crash out (the latter losing them a percentage of their points). 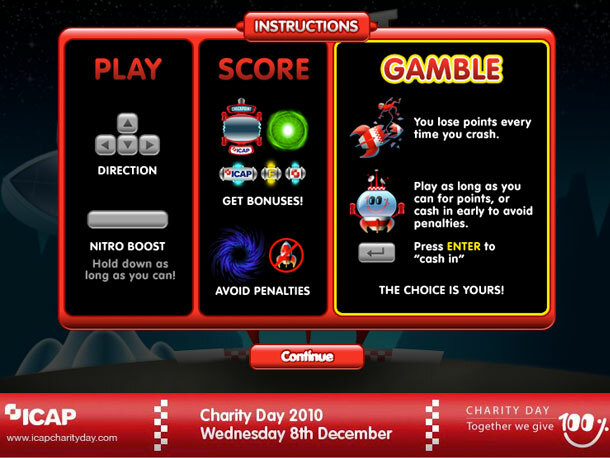 The rapid repeat play and gambling mechanic was designed to appeal to the broker’s own competitive nature. 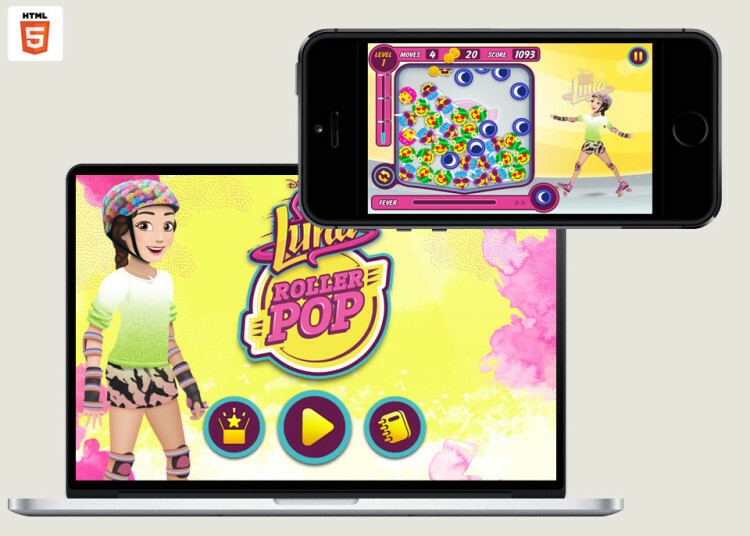 View created all the branding, print work and website that held the campaign together. 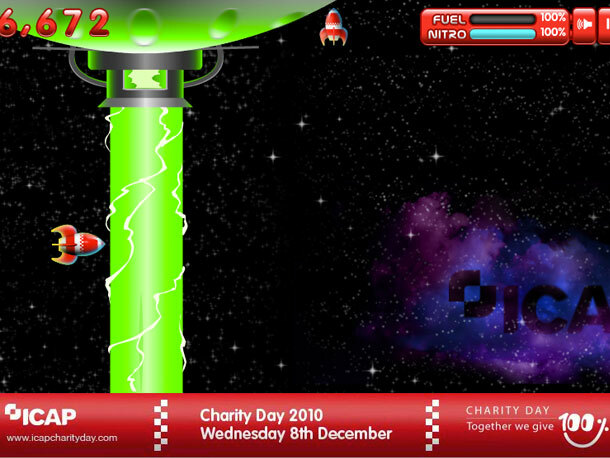 On the back of one of the brochures was a Rocket AR symbol, which if held up to your webcam would give you a virtual rocket launch from the back of the page. 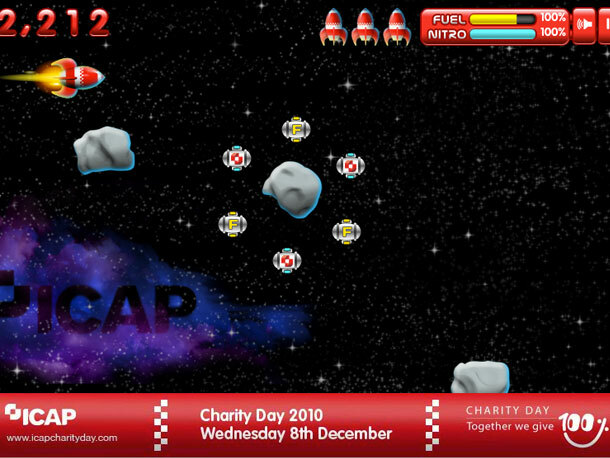 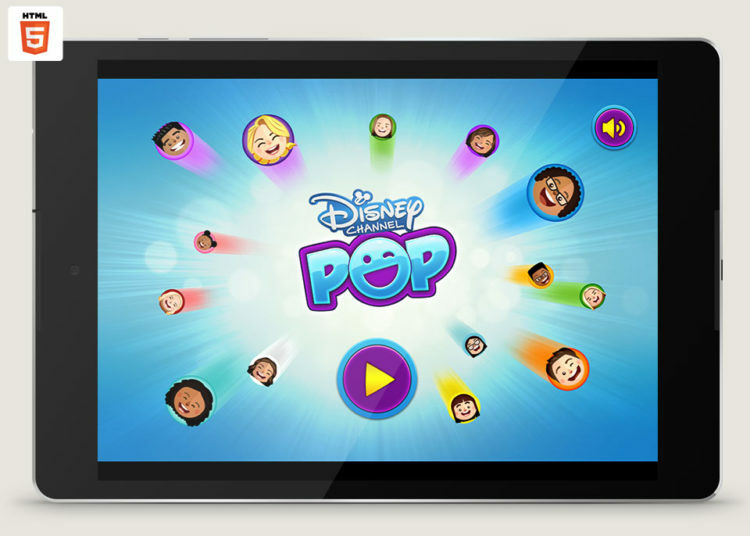 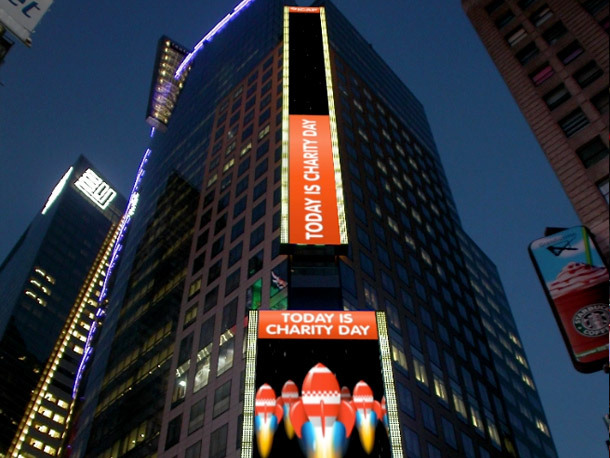 ICAP secured the use of several giant video screen installations in key cities and Playerthree used assets from the game and branding to create 30 second spots to play over the them during the Charity Day event. 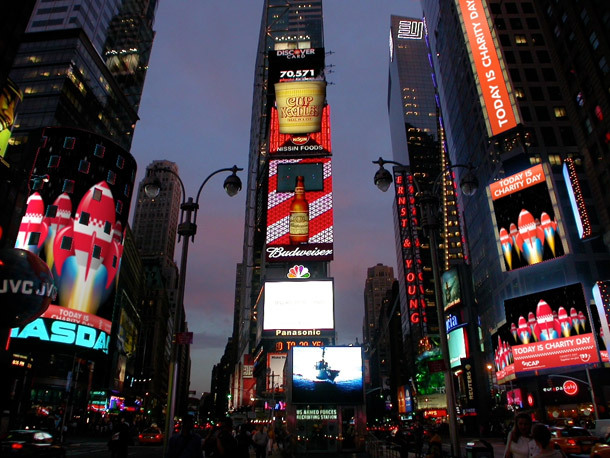 The Time Square setup included 11 screens including one that was 169feet tall and 13 feet wide.